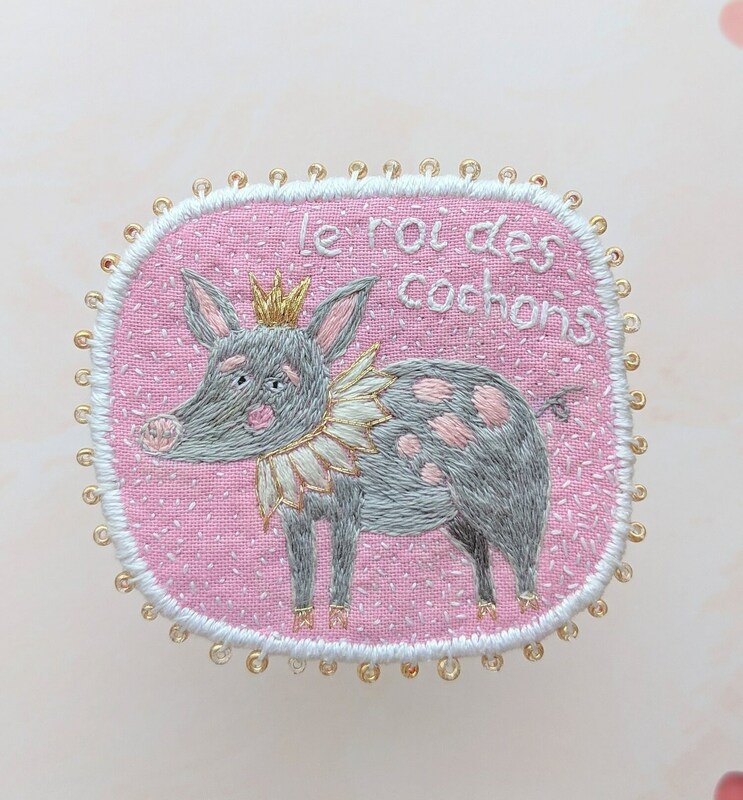 King of pigs brooch. 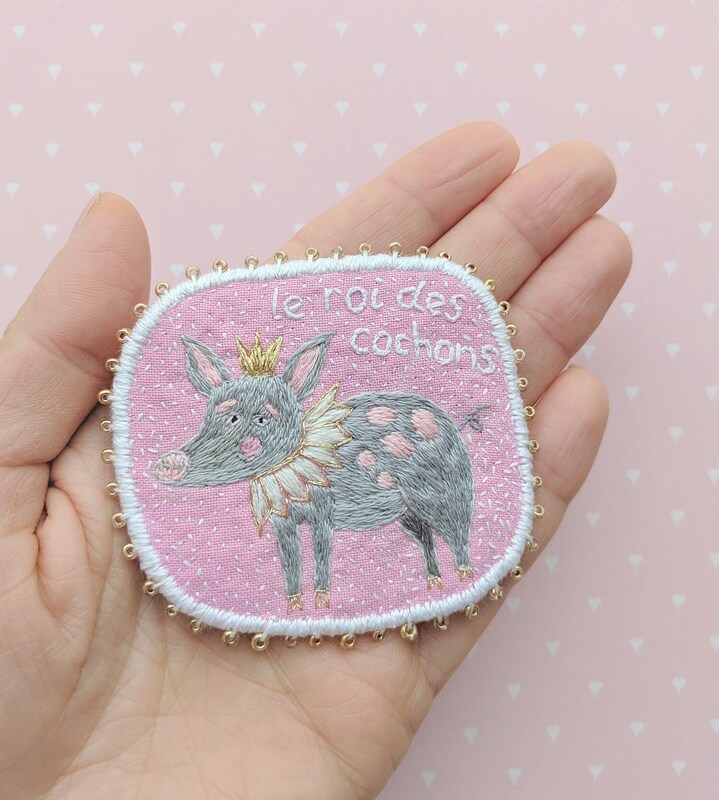 Textile brooch with little Pig, hand embroidered unique jewelry with mini pig. 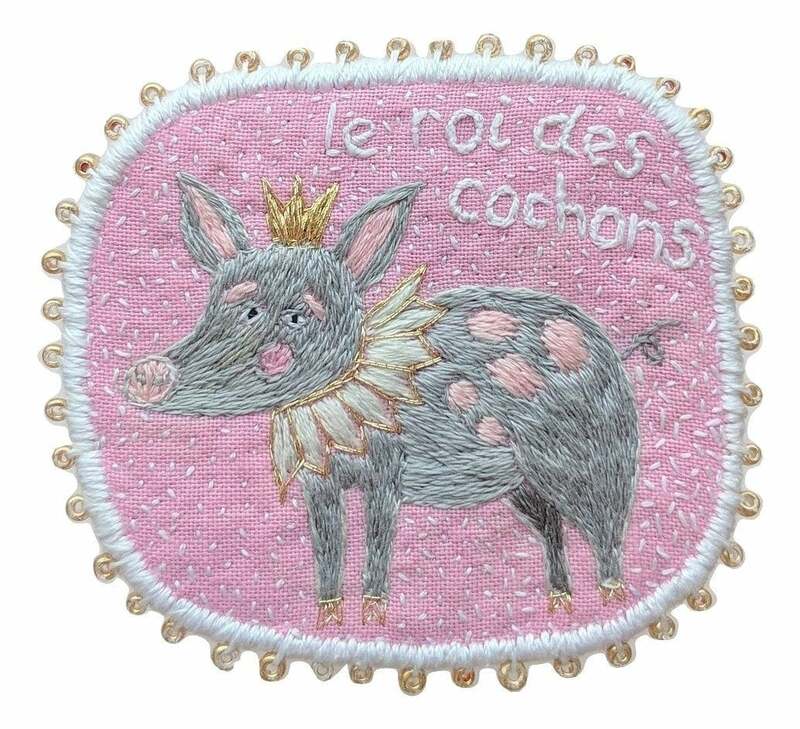 Le roi des cochons brooch. Pin with pig. Those brooches are embroidered. Each brooch is handmade and OOAK.